Thrill to the exploits of the greatest heroes of the 31st century, the original Guardians of the Galaxy! Join telekinetic Vance Astro, alien archer Yondu, flame-haired Mercurian Nikki, superstrong Jovian Charlie-27, crystalline Plutonian Martinex, the mysterious Starhawk and his wife Aleta as they undertake a quest to find the long-lost shield of Captain America – a mission that pits them against Iron Man’s twisted legacy, the marauding alien cyborgs called the Stark, as well as the intergalactic thieves known as Force! 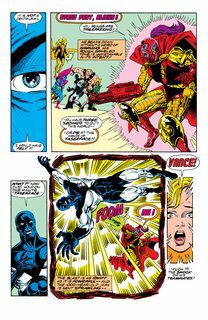 Plus, the Guardians confront the devil’s daughter, Malevolence – and battle across time alongside the Fantastic Four, Silver Surfer, Dr. 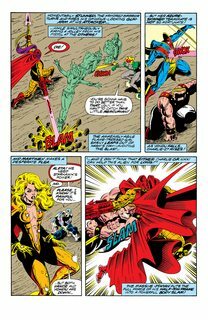 Strange and the 26th century’s Thor, Dargo Ktor, against the mad god known as Korvac! 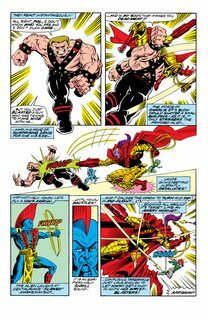 Collects Guardians of the Galaxy (1990) 1-7, Guardians of the Galaxy Annual #1, Fantastic Four Annual #24, Thor Annual #16 and Silver Surfer Annual #4.